Apex Concerts, Nevada’s finest chamber music series, celebrates its eighth season with a grand rendition of the Eighth Wonder of the World: the glorious Octet of Strings and Winds by Franz Schubert. A rarely performed gem of wit and color, the enchanting Quintet for Winds and Strings will serve the evening’s appetizer. Assembling on Nightingale stage will be an incredible cast of musicians from near and far. Led by multi-award winning violinist Sean Lee, and firmly grounded by the principal bassist of San Francisco Symphony Scott Pingel, the ensemble will also feature two new University faculty members: oboist Aaron Hill and clarinetist Joshua Anderson. Some familiar faces such as hornist DeAunn Davis, bassoonist Eric Fassbender, violist Dustin Budish and violinist Ruth Lenz will complete this dream team. 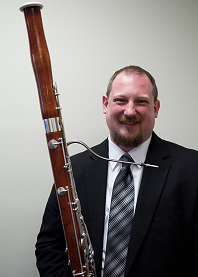 Dr. Aaron Hill serves as Assistant Professor Oboe at the University of Nevada-Reno. Prior to moving to Reno, he held appointments teaching oboe at the University of Wisconsin-Madison, University of Virginia, and James Madison University. While in Virginia, he was principal oboe of the Charlottesville Symphony and English horn with the Roanoke Symphony. His academic affiliations have included extensive chamber music involvement with both the Wingra Quintet and Albemarle Ensemble. He has also performed on Baroque oboe as a member of the Madison Bach Musicians. Hill earned his Bachelor of Music degree with Highest Honors from the University of Michigan, where he played principal oboe on William Bolcom’s Songs of Innocence and Experience with Leonard Slatkin, a recording for Naxos that won the Grammy Award for Best Classical Album. He also holds a Master of Music degree and an artist diploma from the Yale School of Music, where he received the Thomas Nyfenger Memorial Prize for Outstanding Woodwind Performance. He completed his Doctor of Musical Arts degree in performance, pedagogy, and literature at James Madison University. He also holds additional pedagogical certifications from the Gordon Institute of Music Learning and Marianne Ploger’s Institute of Musical Perception. His oboe teachers include Nancy Ambrose King, Richard Killmer, and David Weiss. From 2002 to 2008, Hill played principal oboe in the Flint Symphony Orchestra in Michigan. He has also performed as principal oboe with the Rochester Philharmonic, Orchestra of St. Luke’s, Richmond Symphony, Ann Arbor Symphony, and International Contemporary Ensemble, and has also appeared with the Hartford, San Diego, and Virginia Symphonies. He was awarded the Grand Prize in the Mu Phi Epsilon Society for Musical Arts Competition and the Leche Trust Prize at the Barbirolli International Oboe Competition. Hill travels around North America as an active recitalist and masterclass clinician and has been a featured speaker at the TEDxSkidRow and Tom Tom Founders Festival conferences. He can be heard on YouTube performing Franz Wilhelm Ferling’s 48 Famous Studies for Oboe. Dr. Hill plays a Fox Sayen oboe, in South Whitley, Indiana. Joshua Anderson is an active orchestral and chamber musician and has given performances in such venues as Carnegie Hall and Lincoln Center's David Geffen Hall. 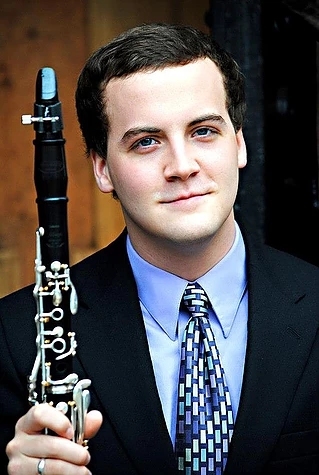 Joshua currently holds the position of principal clarinet with the Dearborn Symphony Orchestra and has played under the baton of such conductors as Valery Gergiev and Peter Oundjian. As a chamber musician, Joshua has performed internationally alongside members of the New York and Berlin Philharmonic Orchestras. Outside of performing, Joshua is also an active teacher. In addition to maintaining a private studio, he has taught lessons for the University of Michigan and Yale University, and has worked as a teaching artist for Yale's Music in Schools Initiative, the Morse Summer Music Academy, and the MPulse Clarinet Institute. Joshua attended the Interlochen Arts Academy where he was a student of Deborah Chodacki and holds degrees from the Peabody Institute of the Johns Hopkins University and the Yale University School of Music, having studied with Anthony McGill and David Shifrin respectively. Eric Fassbender teaches bassoon, chamber music, and sight-singing and ear training at the University of Nevada, Reno, where he is also the coordinator of the aural skills curriculum. Dr. Fassbender performs regularly with the Reno Philharmonic, the Reno Chamber Orchestra, Trio Reno, and several other orchestras and chamber ensembles in the area. He has performed at the 2017 national conference of the Society of Composers, Inc. and will give a solo recital at the 2018 International Double Reed Society conference in Granada, Spain. Dr. Fassbender is an active commissioner and performer of new works for double reeds, including pieces employing electroacoustic sounds and pre-recorded media. Dr. Fassbender received his Doctor of Musical Arts degree at the University of Nevada, Las Vegas, studying with Janis McKay. 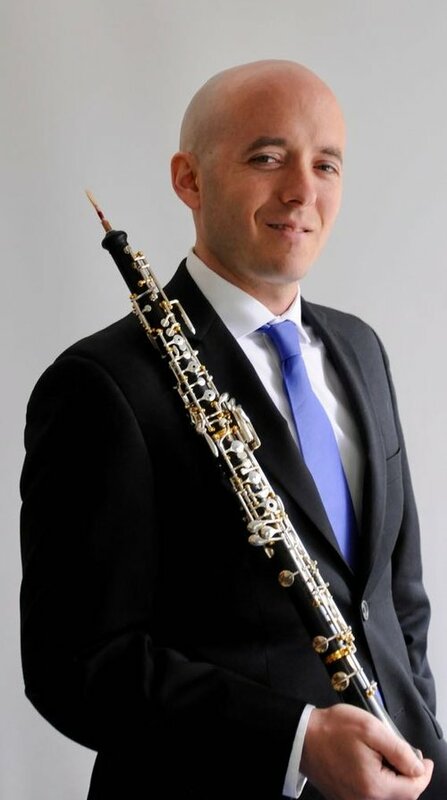 He received his Master of Music degree in Double Reed Performance from the University of Nevada, Reno, studying with Christin Schillinger, Lindsey Bartlett, and Andrea Lenz. He received his Bachelor of Science degree from Northern Michigan University, studying bassoon with Donald Grant. An accomplished accordionist, Dr. Fassbender has appeared with the Reno Philharmonic and as soloist with the Reno Pops Orchestra. As a saxophonist with the Wisconsin-based Don Peachey Band, he toured from 2003 to 2006 and appears on the 2004 album What Goes on Here? Dr. Fassbender lives in Reno with his wife Melanie, Director of Bands and Chorus at O'Brien STEM Academy. He performs on a Fox 601 bassoon and a kingwood Yamaha 841 oboe. 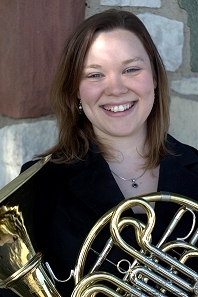 DeAunn holds the position of Assistant Principal Horn with the Boulder Philharmonic in Boulder, Colorado. As a member of the Boulder Phil, DeAunn performed a sold-out opening night show at the SHIFT Festival in Washington D.C.'s Kennedy Center in 2017. She has been an artist in residence at Yale University, the New England Conservatory, and Carthage College in Kenosha, Wisconsin. DeAunn has presented masterclasses at Arizona State University, the University of Alabama, the University of Georgia in Athens, the University of Alabama in Huntsville, and Vanderbilt University. DeAunn has also performed with the Cabrillo Festival, the Honolulu Symphony, the Utah Symphony Orchestra, and traveled to Haiti in 2012 as a faculty member with the Ecole de Musique Sainte Trinité Woodwind Festival. DeAunn was a member of the Civic Orchestra of Chicago while earning her Bachelor of Music degree at Northwestern University, and earned her Master of Music degree from DePaul University in Chicago. Prior to living in Reno, DeAunn earned a Doctor of Musical Arts degree at the University of Utah in Salt Lake City. She has performed extensively in the Chicago-land area and was a founding member of the critically-acclaimed experimental chamber group Fifth House Ensemble. Violinist Sean Lee has captured the attention of audiences worldwide with his lively performances of the classics. A recipient of the 2016 Avery Fisher Career Grant, his debut album, released by EMI Classics, reached the iTunes top 20 classical bestsellers list. In addition, his educational YouTube series, Paganini POV, continues to draw praise for the use of technology in sharing unique perspectives and insight into violin playing. Lee has appeared as a soloist with orchestras including the Jerusalem Symphony, Utah Symphony, Orchestra Del Teatro Carlo Felice, Westchester Symphony, and Israel Camerata Jerusalem. His recital appearances have taken him to Carnegie Hall’s Weill Hall, Tel Aviv Museum of Art, Festival di Carro Paganiniano of Italy, Vienna’s Konzerthaus, and Lincoln Center’s David Rubenstein Atrium. A top prizewinner at the “Premio Paganini” International Violin Competition, Lee embraces the legacy of his late mentor, violinist Ruggiero Ricci, by being one of the few violinists who dare to perform the complete 24 Caprices of Niccolò Paganini in recital. Lee has collaborated in performances with Itzhak Perlman, James Galway, Deborah Voigt, and members of the Emerson and Guarneri String Quartets. 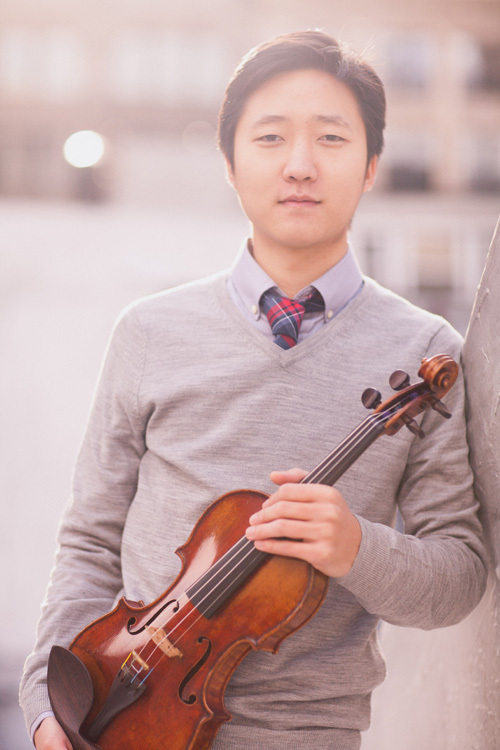 As an artist with the Chamber Music Society of Lincoln Center, Lee performs regularly at Lincoln Center’s Alice Tully Hall as well as on tour internationally. Recent appearances on tour with the Chamber Music Society of Lincoln Center include Lobkowicz Palace in Prague, Czech Republic; LG Arts Center in Seoul, Korea; National Theater in Taipei, Taiwan; and Naumburg Orchestral Concerts in New York City’s Central Park. Born in Los Angeles, Lee studied in Southern California with Robert Lipsett of the Colburn Conservatory and legendary violinist Ruggiero Ricci. Moving to New York City at age 17, he began studies at the Juilliard School with the internationally acclaimed Itzhak Perlman. Lee earned both Bachelor and Master of Music Degrees, and was a recipient of the William Schuman Prize. During his studies, Lee performed with the Juilliard Orchestra as a soloist and an integral part of the orchestra. During four seasons as concertmaster, he played under the batons of David Atherton, James DePriest, Xian Zhang, Alan Gilbert, and David Robertson at venues including Carnegie Hall, Avery Fisher Hall, Alice Tully Hall, Shanghai Grand Theatre, and Beijing’s National Centre for the Performing Arts. In addition to his performing life, Lee is a dedicated educator, and is currently a member of the chamber music faculty of the Juilliard School’s Pre-College Division, as well as the violin faculty of the Perlman Music Program. Lee performs on a violin originally made for violinist Ruggiero Ricci in 1999, by David Bague. Ruth Lenz became concertmaster of the Reno Philharmonic and Nevada Opera Orchestra in 2010 and of the Reno Chamber Orchestra in 2011. 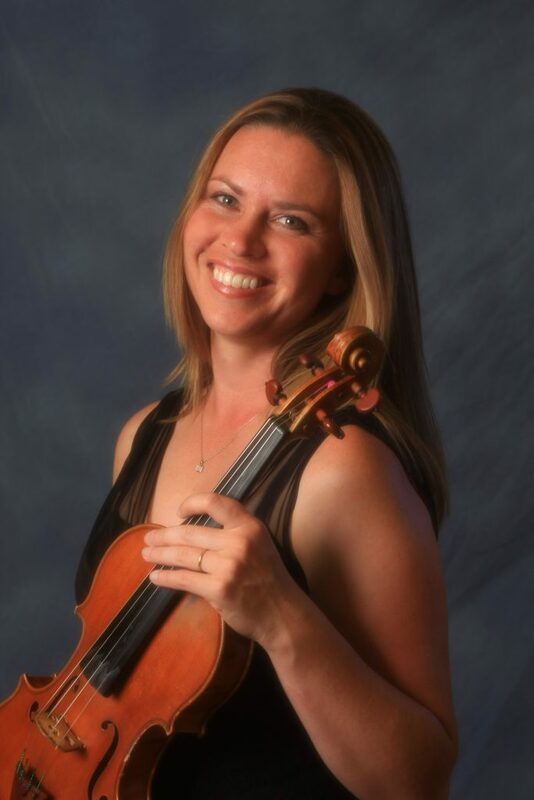 She has also served as concertmaster for the Fresno Philharmonic and the Sunriver Festival Orchestra. As a chamber and festival musician she has performed with the Sacramento Chamber Music Society in California; the Argenta Series for the University of Nevada, Reno; in the Spoleto Festival in Charleston, South Carolina; the Telluride Chamber Music Festival in Colorado; the Carpe Diem String Quartet in Columbus Ohio; and the Kammermusiktage in Barth, Germany. 2017-18 engagements include the La Musica Festival in Sarasota, Florida; the Tahoe Chamber Music Society series in Nevada; Classical Tahoe; the Aurelia Chamber Players in California; and the Nevada Chamber Music Festival. Dr. Lenz has had the honor of collaborating with such distinguished artists as Robert Levin, Noah Bendix-Balgley, Pascal Roge, James Buswell, Bruno Giuranna, Pamela Frank, Peter Wiley and Carol Wincenc. Ruth has appeared as a soloist with the Reno Philharmonic, the Reno Chamber Orchestra, the Ruby Mountain Symphony, the Carson City Symphony, the Lake Tahoe Summer Music Festival Orchestra, the Toccata Orchestra, the Reno Baroque Ensemble and the Sunriver Festival. 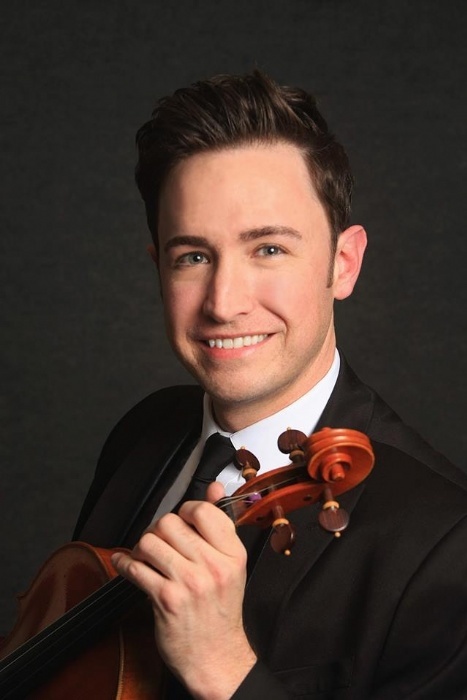 A native of Reno, Nevada, Dustin Budish began his musical training at the age of eight studying the piano, but soon after a suggestion by his middle school strings teacher he realized his true passion was for the viola. While in high school, Dustin received numerous honors including principal viola of the Nevada All-State Orchestra and a Command Performance. He went on to study at Oberlin College and the Cleveland Institute with Jeffrey Irvine for which he received his BM in viola performance and then received his MM with honors at the New England Conservatory with Martha Katz. While in school, Dustin was a founding member of the Mephisto Quartet, which worked with and performed alongside members of the Cavani, Tokyo, Vermeer, and Cleveland Quartets, and received the Russell Award at the Coleman Chamber Music Competition in 2001. As a Chamber musician, Dustin has performed at the Ravinia and Norfolk Festivals, and in 2005 was invited to Israel to perform with Maxim Vengerov's Mozart Project with the Verbier Festival Chamber Orchestra. As a member of the New World Symphony in Miami Beach, Dustin was featured as soloist with the orchestra as a winner of the annual concerto competition under Maestro Alasdair Neale's direction. Also while in Miami, he served as artistic advisor and electric violinist to the "Friends" of New World, catering custom innovative fusions of classical music with hip-hop, electronic, reggae and funk. Presently, Mr. Budish is acting Principal Viola of the Reno Chamber Orchestra, as well as Personnel Manager and Librarian. He spends his summers a member of the Sun Valley Summer Symphony, and is also a regular substitute with the San Francisco Symphony. 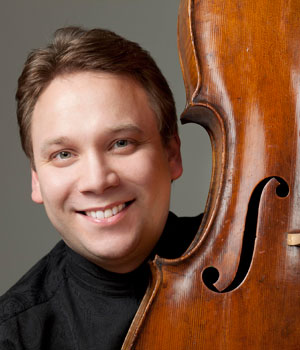 In 2004, Scott Pingel became the principal bass of the San Francisco Symphony and the San Francisco Chronicle named him one of the most prominent additions to the ensemble. 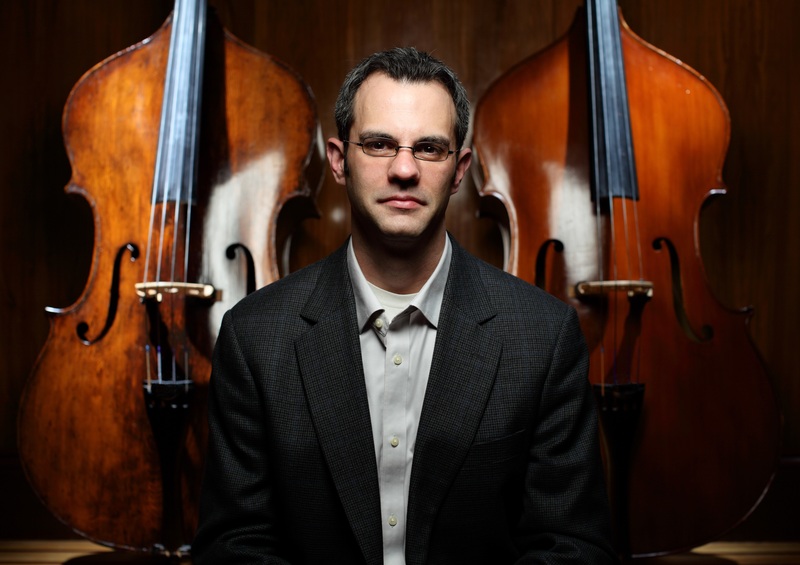 Previously, he served as principal bass of the Charleston Symphony Orchestra, performed with the Metropolitan Opera, and served as guest principal with the National Arts Center Orchestra in Canada. His solo performances with ensembles such as the San Francisco Symphony, the San Francisco Academy Orchestra, and the Charleston Symphony Orchestra, and his recitals (frequently consisting of his own arrangements) have received critical acclaim. As a chamber musician, he has collaborated with luminaries including Yo-Yo Ma and members of the Emerson, Miro, Pacifica, St. Lawrence, Danish, and Takács quartets. He can often be heard at the Arizona Musicfest, Music@Menlo, and Music in the Vineyards festivals and on television and radio programs including NPR’s Performance Today.Formerly active as a jazz musician and electric bassist, he worked with greats including Michael Brecker, Geoff Keezer, and James Williams, and performed in venues from Birdland in New York to Fasching in Stockholm. He held a tenured position at the University of Michigan, and currently serves on the faculty of the San Francisco Conservatory of Music. Mr. Pingel’s primary instructors were James Clute, Peter Lloyd, and Timothy Cobb. He earned a bachelor's degree from the University of Wisconsin-Eau Claire, a master's degree from the Manhattan School of Music, and spent two years as a fellow at the New World Symphony.